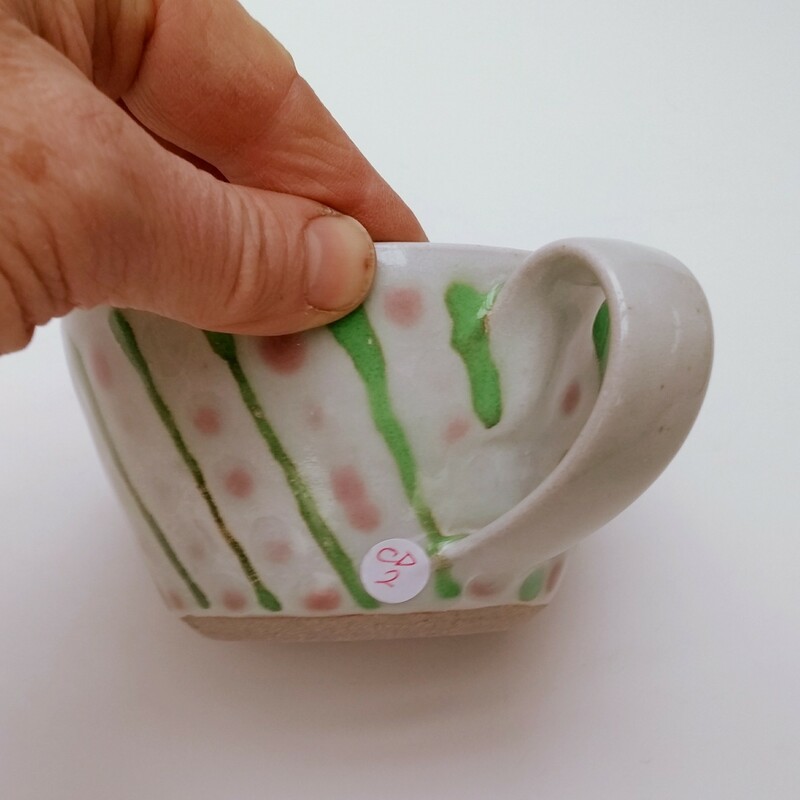 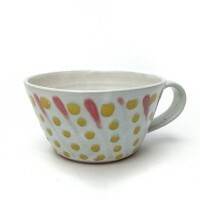 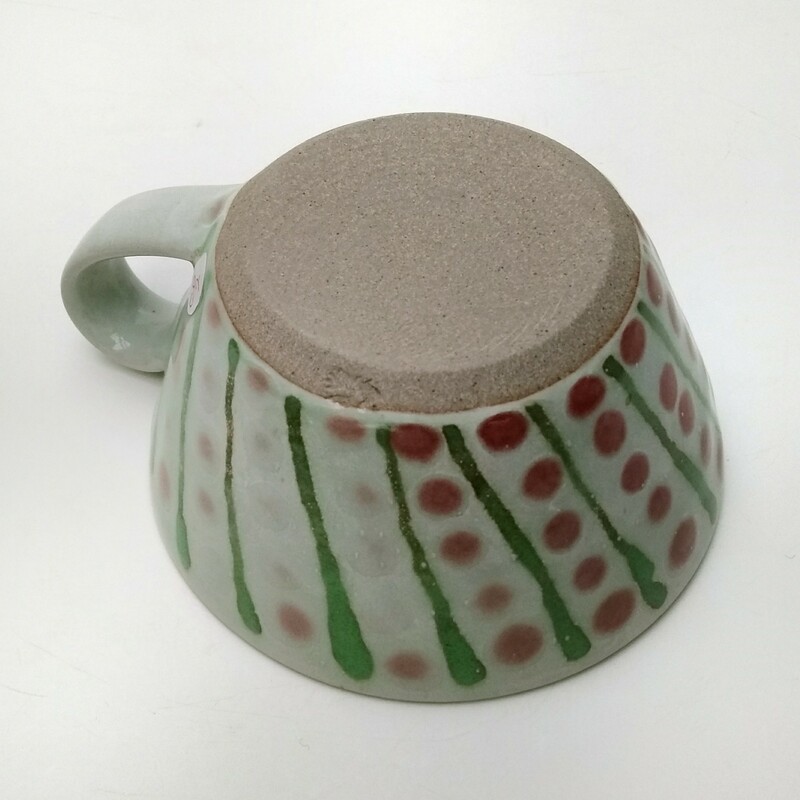 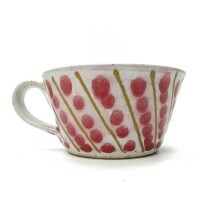 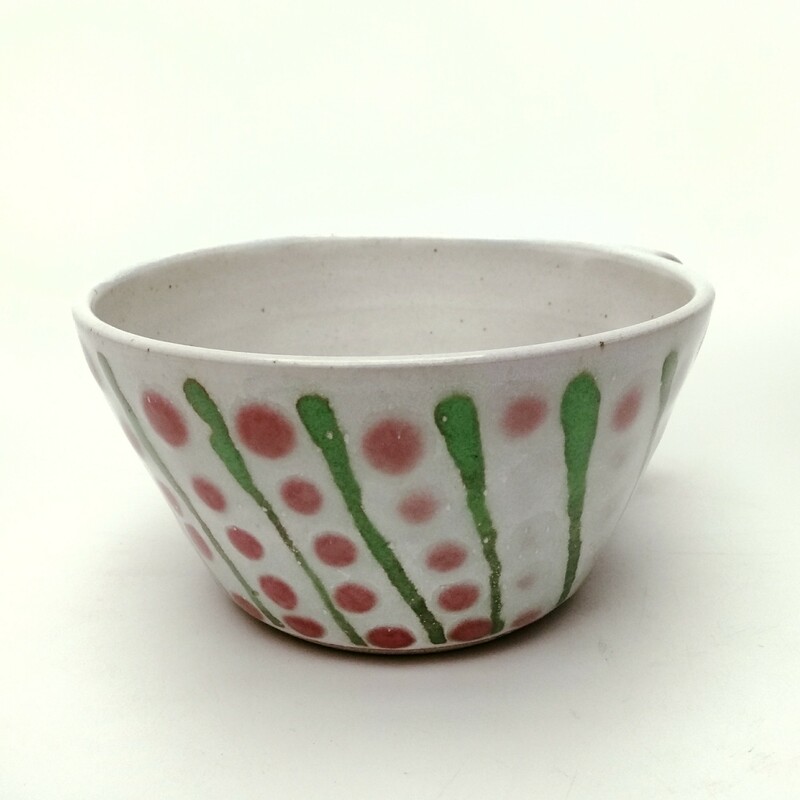 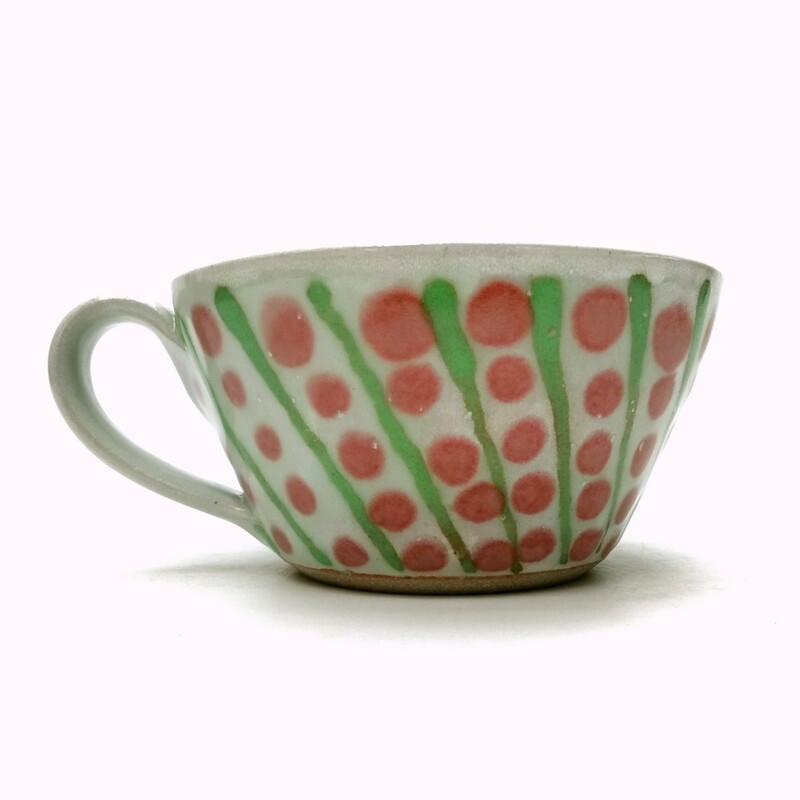 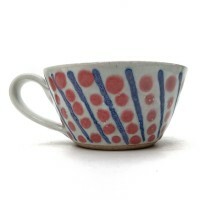 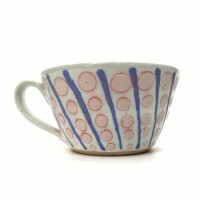 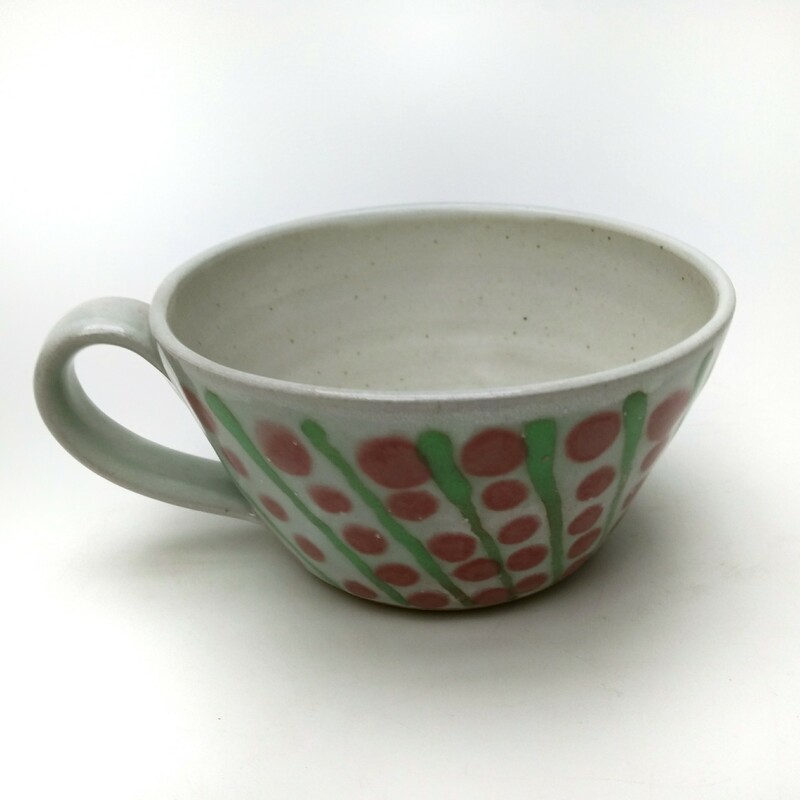 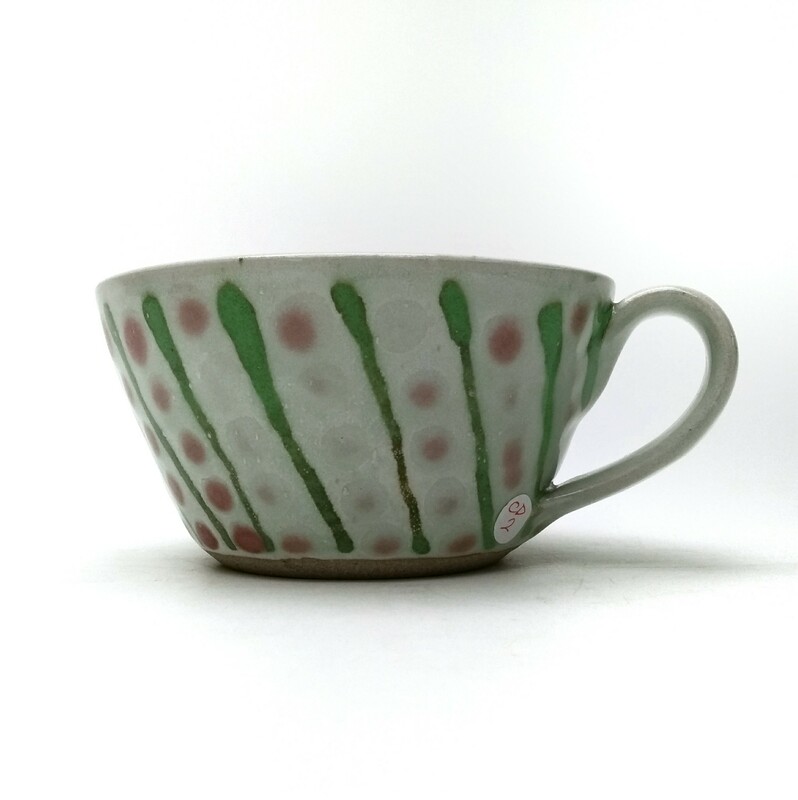 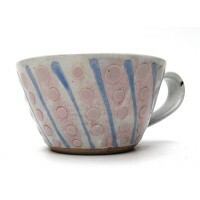 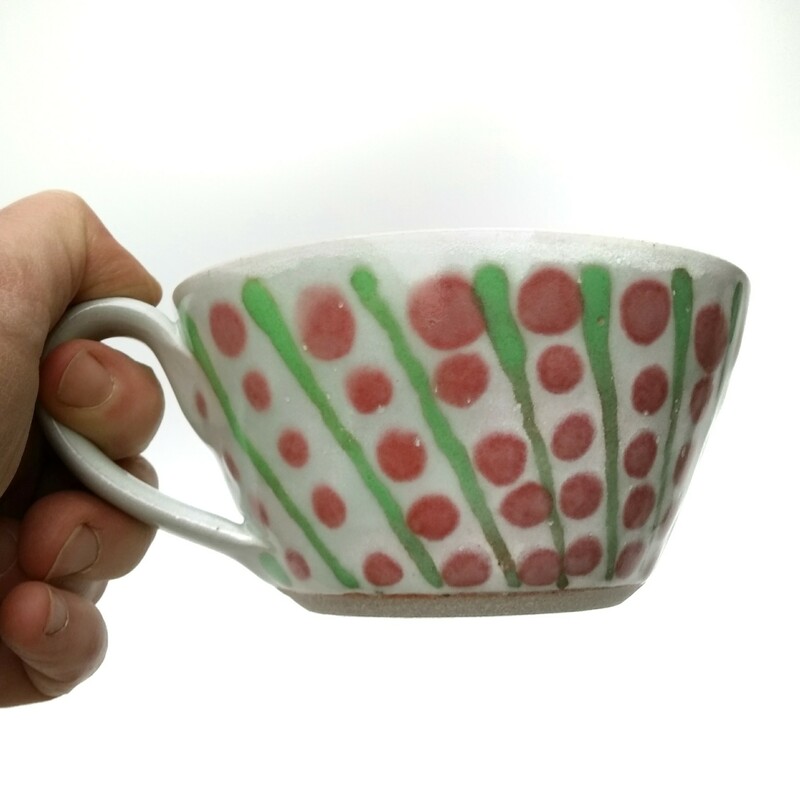 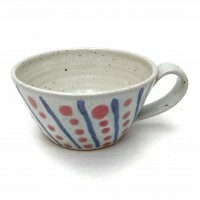 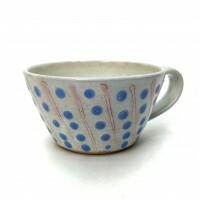 A hand thrown cup with green and red trailed glaze decoration. 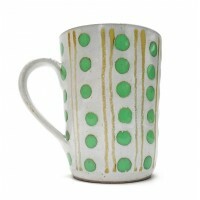 Excellent for morning coffee or hot chocolate anytime. Dot and stripe pattern.